inge T-Rack vario Integrated Hollow Fiber UF Membrane Racks | Applied Membranes Inc.
T-Rack® vario is our tried and tested rack solution for ultrafiltration. Headers integrated in the module end caps transform the T-Rack® into an ultra-compact rack system. Equipped with dizzer® XL 0.9 MB 60 modules, the T-Rack® vario is designed to be modular, allowing it to be expanded into a system with up to 80 module mounting points. Its compact design with vertically mounted modules requires up to 60% less space than conventional racks. 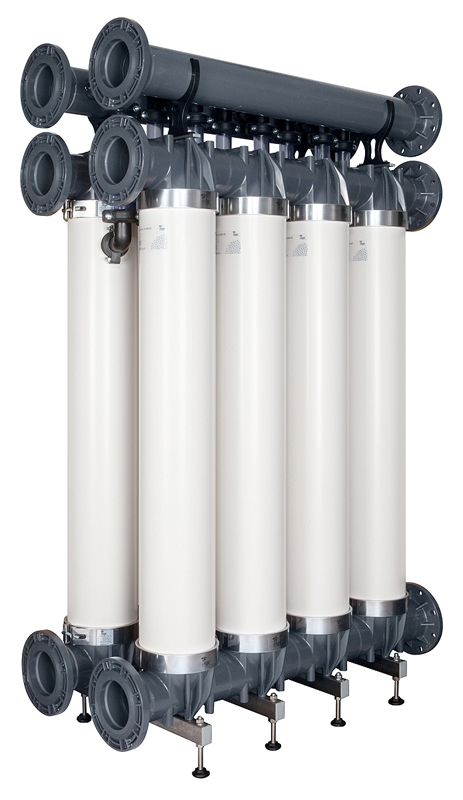 The design includes separate filtrate headers, which means each row can be operated as a separate filtration line. This concept offers unparalleled flexibility and helps keep investment and operating costs to a minimum. The T-Rack® vario boasts a compact footprint, customizable system design, flexible modes of operation and low capital and operating costs. Clever integration of the feed and drain pipes in the end caps of the modules creates ultra-compact racks, while the use of standardized components makes the T-Rack® vario into a fully scalable solution. 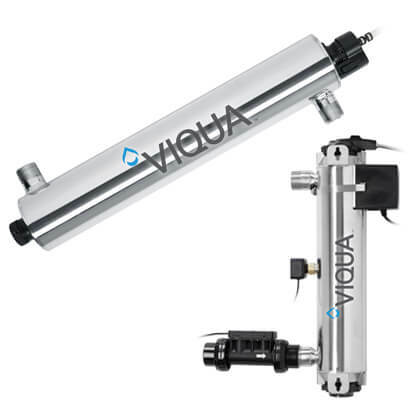 The design includes separate filtrate headers, which means each row can be operated as a separate filtration line. The smallest available T-Rack® unit comprises four dizzer® modules in two rows of two modules each, while the largest T-Rack® – the TR-80-4-V model – features 80 modules in a four-row arrangement. Customers can choose specific configurations with either two or four rows of modules. In cases where an uneven number of modules is required, dummy modules are used to fill the empty slots. Dummy modules can subsequently be replaced by fully-functional modules and further modules can be added on, making it quick and easy to expand capacity later on. The T-Rack® vario is a space-saving solution that is a step above conventional racks, offering a footprint that is up to 60% smaller thanks to its compact design. The header pipes are made of 100% PVC, which eliminates the need for comparatively expensive stain-less steel. 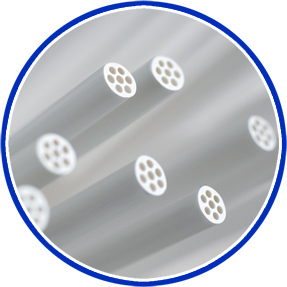 PVC material has proven to be a highly durable solution that avoids the risk of corrosion, especially when treating sea water and other aggressive types of water. Our universal membrane with a 0.9 mm capillary diameter is suitable for use with a broad range of source water compositions. Please check the T-Rack Vario UF Technical Specification for additional information.